The Economic and Social Research Council’s (ESRC) Festival of Social Science offers a fascinating insight into some of the country's leading social science research and how it influences our social, economic and political lives - both now and in the future. The University of Plymouth is hosting a series of events as part of the ESRC’s annual festival. This year, the ESRC Festival of Social Science ran from 4-11 November 2017. The theme for the University was: "Social Sciences: Creating Purpose". Focusing on the importance of social sciences in the work of the University and ESRC researchers in building international and local communities, this year’s festival looked at creating ‘purpose’ and how it can influence our work, how we build communities and live our everyday lives. Full details of individual events at the University can be found below. This celebration of the social sciences takes place across the UK - via public debates, conferences, workshops, interactive seminars, film screenings, virtual exhibitions and much more. 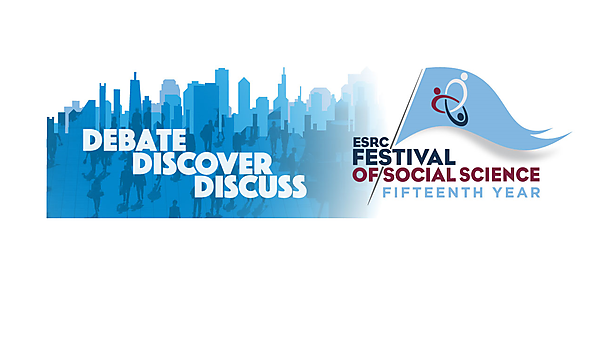 Follow the ESRC Festival of Social Science on Twitter at #esrcfestival or visit the ESRC website for further information.